In a year full of drama for the Phillies, Cliff Lee stepping on the mound is a sight for sore eyes. The same can be said when he steps to the plate as well. 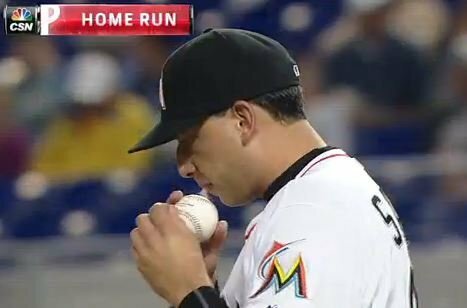 In a complete game shut-out of the Marlins last night, Lee also collected 2 hits, giving him a team-leading .316 batting average. 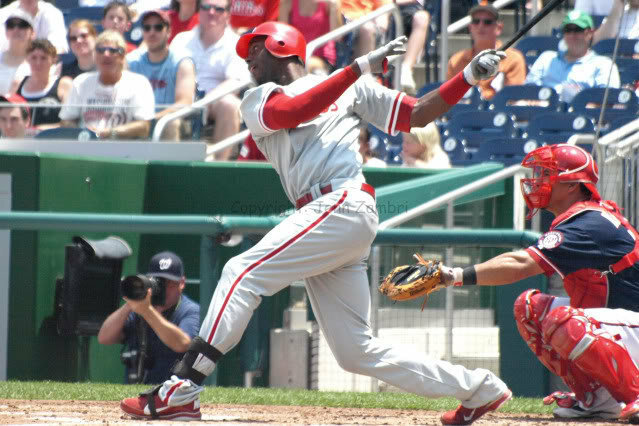 And his .350 on-base percentage is second only to Michael Young (.378) among active Phillies. 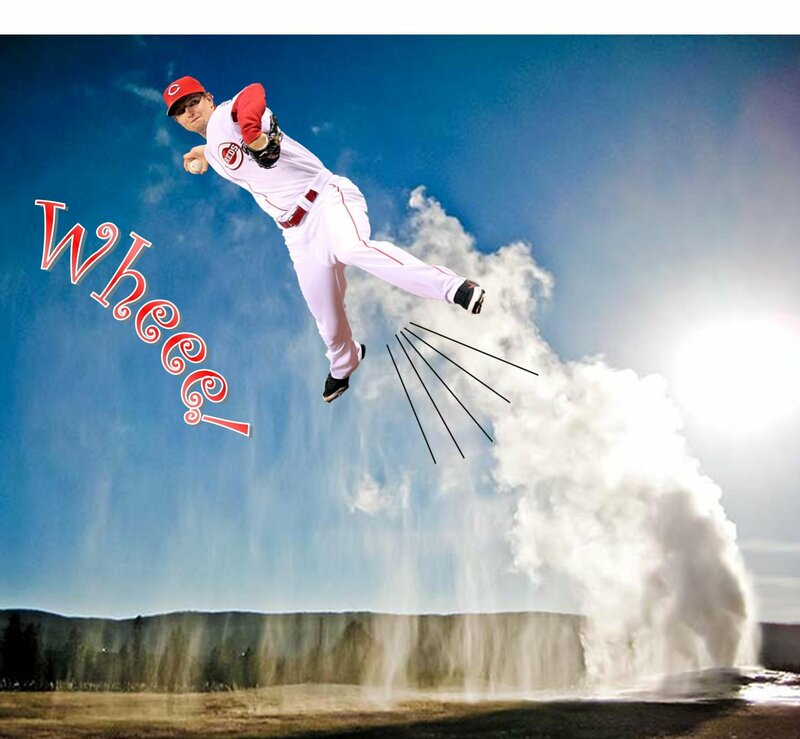 Simply put, Cliff Lee is amazing. Yet those offensive numbers are a bit disturbing in another respect. When your ace pitcher is leading the team in average and OBP, there are some serious problems. Granted, Lee only plays once every 5 games, but it is still a somewhat revealing statistic on a team that has struggled to score runs. There was some offense last night though, and some signs of life all around. Although they only scored 3 runs, most guys hit the ball well and as team, they collected 12 hits, which is way better than their usual production this year. On Tuesday night with Tyler Cloyd pitching, the Phillies racked up 7 runs on 15 hits in the win. But again, this has been a pattern; the Phillies have 1 or 2 games with solid offense and then they go right back to not being able to hit the broad side of a barn. And with the injuries mounting, can they get any kind of consistency? Today is an off day as the team travels to Washington to take on the Nationals. 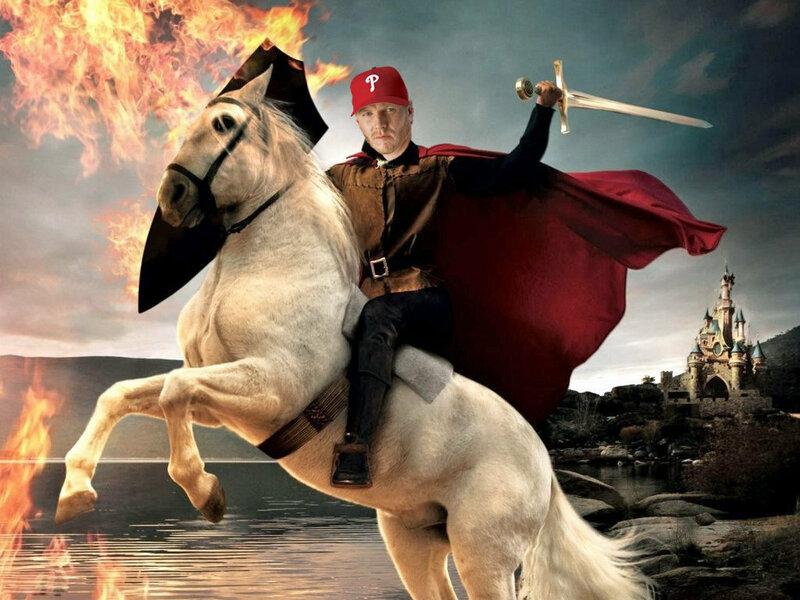 News on Utley should be coming very soon…cross your fingers! So, anyone else out there sit in traffic for hours just to watch the Phillies get slaughtered by the Marlins? Oh yes, the Broad Street Run was exiting just as people were arriving to the game, plus 95 north closed due to a huge tractor-trailer fire/accident. It was the perfect storm. I did leave very early, so my usual 1 ½ hour drive was about 2 ½ hours. Others were not as lucky. And certainly no one was happy with the end result, whether they made it to the game or not. And as usual, the offense did absolutely nothing all day long. Marlins pitcher Kevin Slowey had not had a win in the major leagues since 2010 (*%!@! ), yet the Phils managed only 2 hits off him. 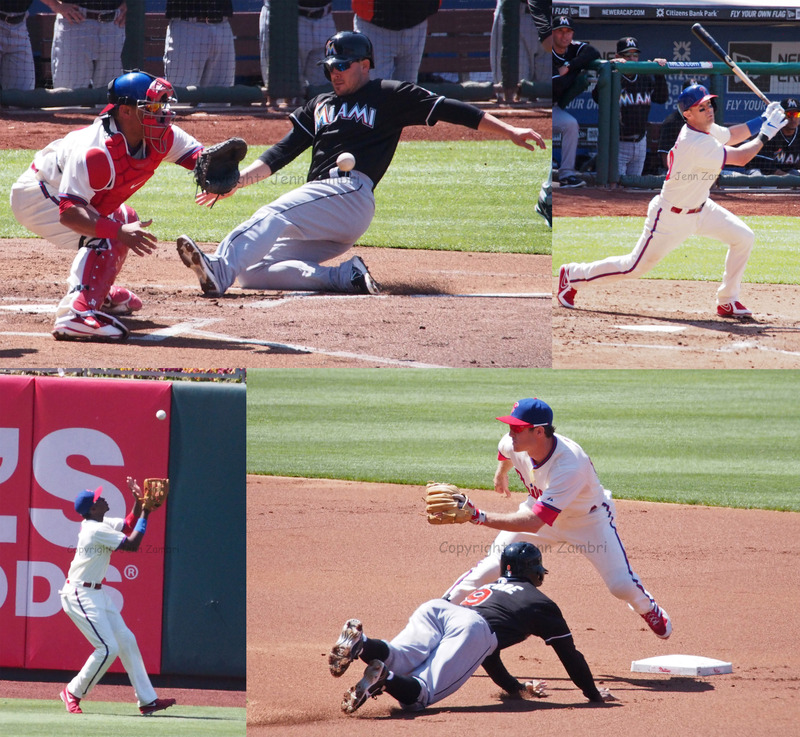 They did avoid the shut-out, with 2 runs in the 8th inning, thanks mostly to Marlins shoddy defense. But not much else was working for the Phillies. The relief staff added 4 more runs to the happy Fish who were rounding the bases quite swimmingly. And they are no longer the worst team in baseball with 2 straight wins over the Phils. 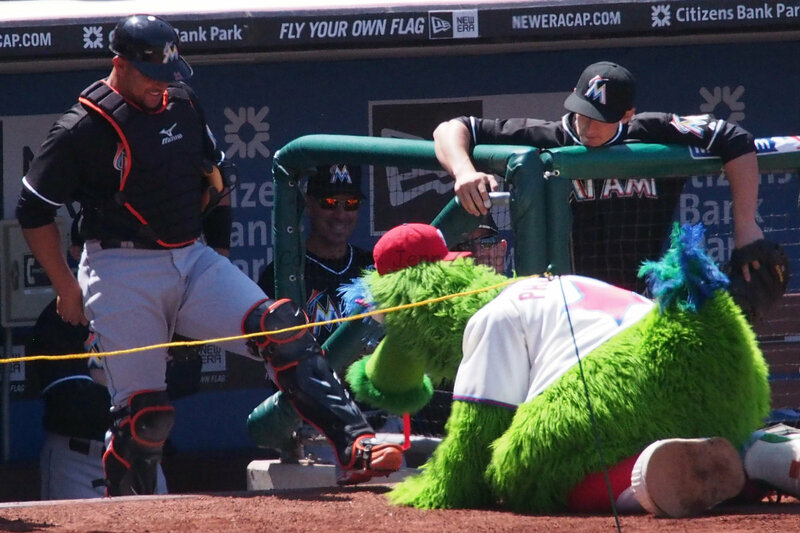 Way to go, Phillies, helping out your Marlins buddies. The final score was 2-14…eeekk! To end on a high note, it was Mother’s Appreciation Day at the ballpark. Chase Utley’s mom joined him on the field and the Phanatic brought him mom as well. We also got a cute Utley tote bag when entering the ballpark, which was the only bright spot of the day. But if you’d like to see more photos anyway (some of them are pretty good, even if the game sucked), here is the Photo Album. Game time tomorrow is 10:15pm EST. The Roy Halladay we have all been waiting to see returned last night in an 8-2 win over the Cardinals. It began with his last start against the Marlins and then Friday night, he continued to improve in an impressive 7-inning effort. The game was called due to rain after the 7th, so this will go in the books as a complete game for Halladay. He allowed only 2 runs, both solo homers. But the really encouraging part was seeing Halladay get angry. Not the fiery red-faced, frustrated sort of anger; this was his old competitive fire, finally burning once again. He got mad in situations that most would just shrug off; for example, Ben Revere made another amazing catch in center field, but Halladay was visibly annoyed that the batter was able to hit the ball that hard, even though it turned into an out. Halladay also had no issues trying to intimidate first-year major league umpire, Alan Porter, by staring him down or barking at him when he didn’t get the call he wanted. Porter had blown a fair/foul call the day before that put the Phillies in a hole, so no one was sad to see Roy giving him a hard time. 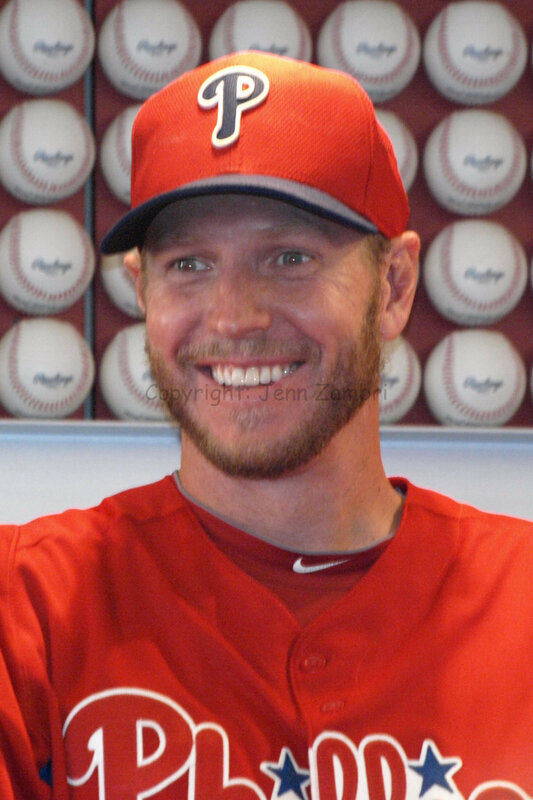 Seeing Halladay back to his old, grouchy self is a very positive sign. For some pitchers, this might mean the guy is getting frazzled; but for Halladay, being grouchy means he is on his game, ready to compete. When good is not good enough for the Doc, you know he is feeling confident. Howard did not play last night due to a sore groin and he is day-to-day. 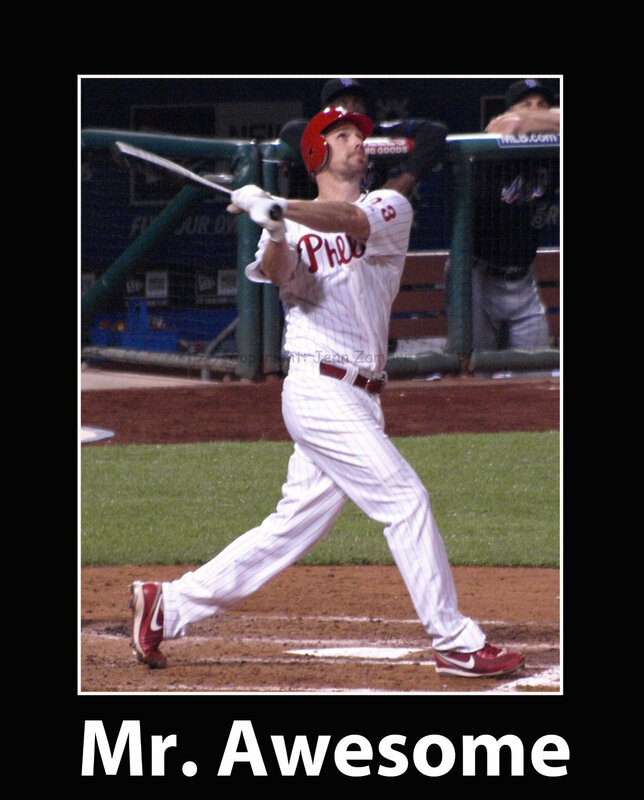 Kevin Frandsen filled in at 1st base and drew the 2nd walk of the game for the Phillies and scored twice. Freddy Galvis started his second consecutive game in left field and made one of the weirdest diving catches you will ever see. His hand actually did a 360-degree turn on the ground, with the ball in the mitt. Of course, I cannot find a video of it anywhere…but it does look like we may have another outfielder. This guy looks like he can play anywhere…amazing. So the real question tonight is will the Phillies offense come to play two days in a row? Cliff Lee hopes so; he takes the mound at 7:05pm tonight.